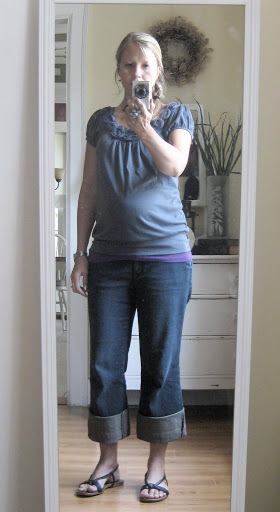 Here goes another edition of What I Wore Wednesday. I didn’t get a lot of pictures this week because most of the time I was in elastic-waisted athletic shorts (but sadly, not doing anything athletic, unless you count painting and chasing after kids as being athletic) and a tank. Or I was in a swimming suit. And trust me, no one wants to see that. 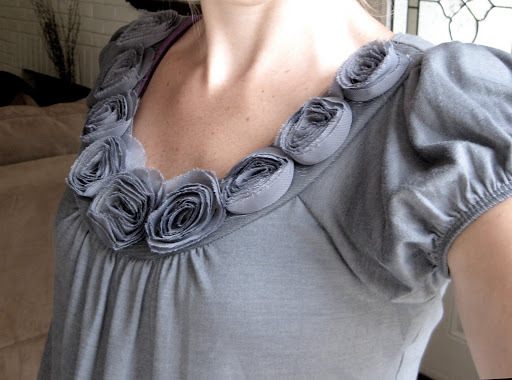 Here’s a closeup of the shirt – I just love me some flower details! And I think it was around $12.99! 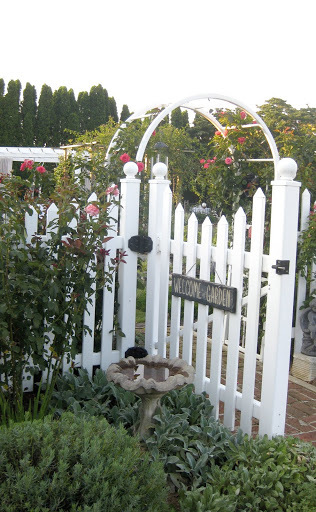 This week my mom, sister-in-law Heather, and I went on a twilight garden tour of this backyard. See for yourself how gorgeous it was! 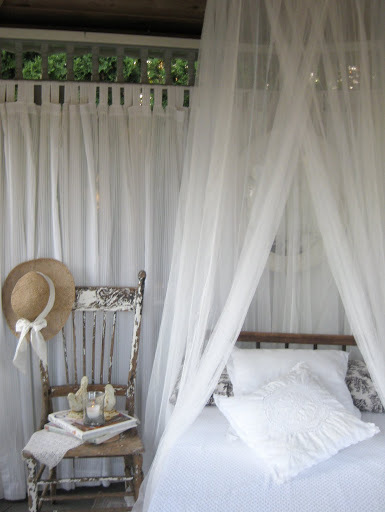 It looks so inviting, doesn’t it? 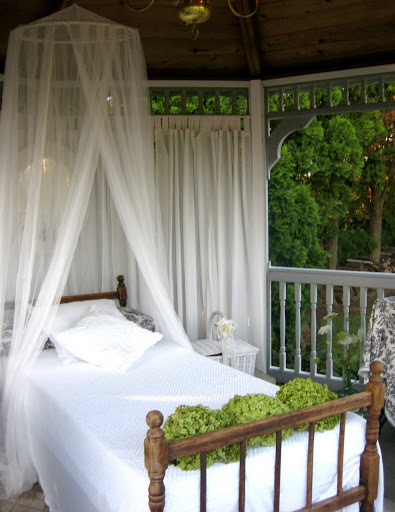 An outdoor sleeping area in the gazebo! 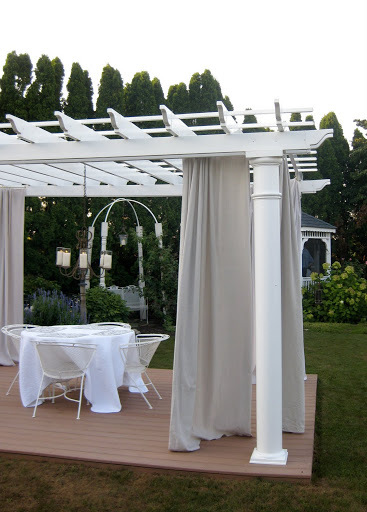 And I just loved this pergola with the hanging curtains! They are actually just dropcloths. Perfect! 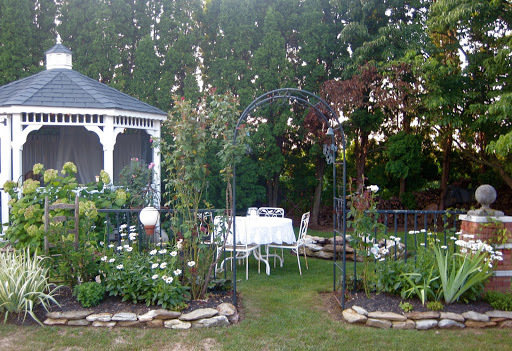 Don’t you just want to eat dinner here? 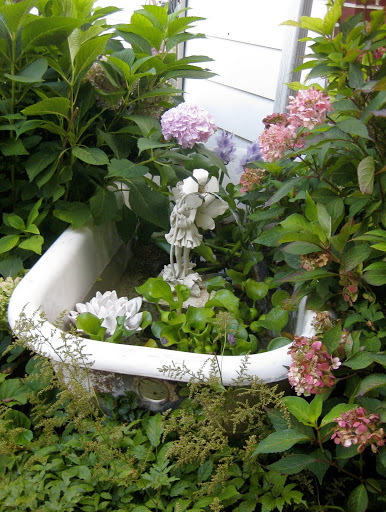 And a bathtub in the flower bed…this backyard was so creative. 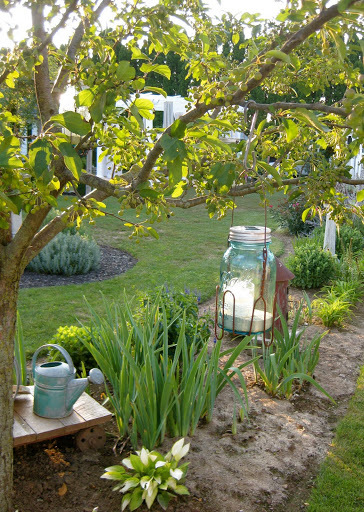 The owner, Esther, has some serious talent!